Just the Thanksgiving turkey tryptophan was wearing off, the Dodgers inked a pair of players to Minor League contracts and ended what had been an unusually quiet period on the signings front. Of course, with the franchise-record-setting signing of Matt Kemp, it’s easy to understand why GM Ned Colletti and his staff’s attention was diverted elsewhere. Nevertheless, over the holiday week, the Dodgers added infielder Luis Cruz and relief pitcher Wil Ledezma with minor league deals. Cruz spent the majority of the 2011 season with Round Rock in the Rangers organization, batting .273 with 15 doubles, a triple, nine homers, and 34 RBI in 67 games. While primarily used a shortstop (34 games), the versatile Cruz also saw some time at second base (19 games), third base (seven games), and even outfield (nine games) with the Express. In the middle of the summer, Cruz was loaned to a team in his native Mexico, where he appeared in 16 games for the Diablos Rojos De Mexico. The 27 year-old also has a pair of cups of coffee in the Major Leagues, both with the Pittsburgh Pirates and the last of which came in 2009. In 56 career big league games, Cruz has a .221 average. Lefty Ledezma spent most of 2011 in the bullpen of the Las Vegas 51s in the Toronto system, where he went 1-1 with a 4.50 ERA and three saves in 36 games. Most impressive, however, was the fact lefties batted just .206 against him, earning him a call-up to the Blue Jays in late July. After five games in Toronto, Ledezma was designated for assignment on August 29 after posting a 15.00 ERA. The native of Venezuela has spent parts of each of the last nine seasons in the big leagues, posting a career record of 15-25 with a 5.40 ERA in 192 appearances. Interestingly, in 2007, Ledezma was traded from Detroit to Atlanta to San Diego within a month. In addition to those three teams and Toronto, he has also pitched in Arizona (2008), Washington (2009), and Pittsburgh (2010). The Dodgers have been busy tinkering with their 40-man roster. Just before Thanksgiving week, Los Angeles outrighted starters John Ely and Carlos Monasterios to Albuquerque. Last year, Ely spent most of the year with the ‘Topes, tying Dana Eveland for the team lead with 25 starts in which he posted a 7-8 record with a 5.99 ERA. Monasterios made one start for Albuquerque on April 8, the second day of the season, before going on the DL with right elbow inflammation. On July 29, the right-hander had Tommy John surgery and will likely be out around a year. Next week ‘Topes Tattler hits the road to Dallas for the annual Baseball Winter Meetings, where there is sure to be much activity surrounding the Dodgers and Isotopes. Stay tuned! Safe to say, Tuesday, November 15 has been an incredibly busy day for the Dodgers, who have nearly put the wraps on a monstesr deal for MVP candidate Matt Kemp, signed second baseman Mark Ellis away from the Colorado Rockies, and inked a deal with catcher Matt Treanor. 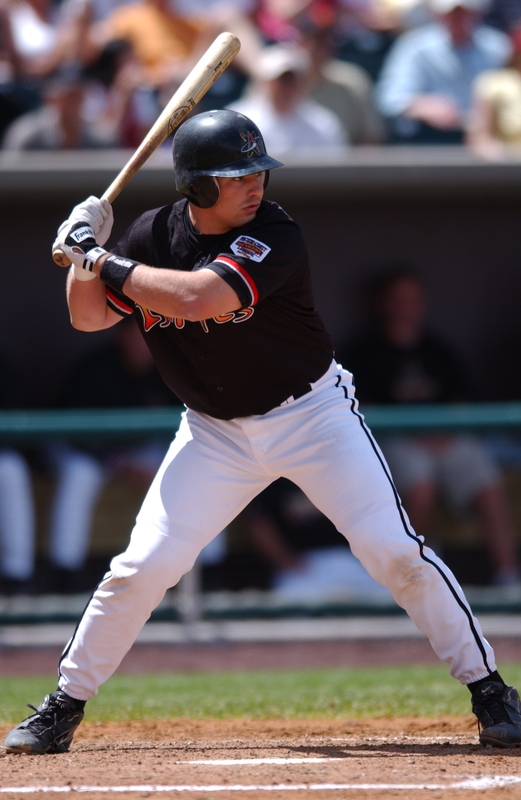 Isotopes fans, of course, are very familiar with Treanor, who played parts of two seasons in Albuquerque in 2003 and 2004, batting a combined .267 with 19 homers, and 78 RBI in a total of 160 games. Last year, Treanor spent most of the season with the Kansas City Royals, batting .226 with three homers and 21 RBI in 65 games before he was traded to the Rangers on August 31. While he was primarily used as a back-up to Mike Napoli in Texas, Treanor was a starter for the Royals, leading the team in starts at catcher with 62 before he suffered a concussion in a collision at the plate against the Indians on July 30. So what does this mean for the 2012 Isotopes? Well, barring anything crazy in Spring Training, pencil Tim Federowicz in as Albuquerque’s starting catcher on Opening Day. Make no mistake, the Dodgers are VERY fond of Federowicz (they wouldn’t have traded Trayvon Robinson for him if they weren’t) but as the only catcher among Treanor andA.J. Ellis with Minor League options, it makes sense that Fed-Ex would at least start the year at Triple-A. It’s just the second week of November, but already there’s been some movement on the free agent front that impacts the Dodgers, and by extension, the Isotopes. While it’s been widely reported that Los Angeles won’t make any significant Major League free agent moves until the team’s new ownership situation is sorted out (and there is even speculation around baseball that all teams are waiting to make moves until the newest CBA is signed), the Dodgers have already begun inking minor league free agents. First, the Pirates have signed catcher Rod Barajas to a one-year deal, which seems to suggest the Dodgers are prepared to move forward with A.J. Ellis and Tim Federowicz as their catching tandem. Obviously, this is great news for the pair of former Isotopes, particularly Ellis, who has bounced between Albuquerque and L.A. in each of the last three season. The biggest name for Isotopes fans on this list is that of first baseman John Lindsey, a fan-favorite in Albuquerque the last two years who played in just 75 games a year ago while battling hamstring and calf injuries. Lindsey is currently playing for Caracas in the Venezuelan Winter League. While it will be interesting to see where these players will wind up (again, many may end up right back in Albuquerque), the Dodgers have already signed three players, all of whom could wind up with the Isotopes in 2012. Salomon Manriquez (C) – Further indication that Federowicz in particular will have a good opportunity of making the Dodgers out of Spring Training (Ellis is out of options, so he must start the year in L.A., or he becomes a free agent) is the fact Los Angeles signed Manriquez, who split time last year between Double-A and Triple-A in the Mets organization. Manriquez played the first month and a half in Triple-A Buffalo but spent most of the year at Double-A Binghamton before returning to the Bisons at the end of August. He batted .254 with 13 doubles, five homers, and 27 RBI in 60 games with Binghamton and .321 with three doubles, a homer, and seven RBI in 27 games with Buffalo. Most of all, Manriquez has the versatility the Dodgers crave, seeing plenty of action at first base as well as catcher. Lance Zawadzki (SS) – Zawadzki spent all of last year with Omaha in the Royals organization, batting .233 with 13 doubles, six triples, eight homers, and 40 RBI in 91 games. The switch-hitting infielder turned it on when it mattered most, batting .400 in the PCL playoffs and was the only Storm Chaser to rack up two hits in Omaha’s 8-3 loss to Columbus in the Triple-A National Championship Game at Isotopes Park in September. Spring Training is still three months away, so there’s a long way to go, but it’s always good for baseball fans when the Hot Stove starts to pre-heat.